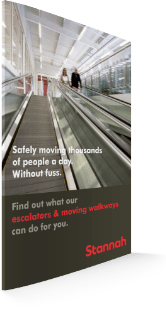 Stannah Escalators – what can we do for you and your project? What can our escalators do for you? Our escalators provide you with a smooth, uninterrupted flow of people throughout your building. All our escalators are manufactured to the highest standards, delivering on safety, eco-efficiency and design. Our flexible escalator range includes heavy-duty, glass, standard and slim-line, all with a wide range of finishes and materials for interior and exterior installations. We provide solutions for all commercial, industrial and public transport applications across the UK, meeting and exceeding client specification. Whether you opt for a standard product configuration or a tailor-made solution, our escalators are the perfect combination of beautiful design, exceptional efficiency, flexibility and reliability. If you have an existing escalator, we can provide removal, replacement or modernisation services. Whatever your requirement, we ensure your whole portfolio is performance optimised, saving energy wherever possible. Talk to our dedicated escalator design team who can give advice, provide costs or guide you through specification. Looking for something outside of the standard range? Well, we can do that too. We get involved in a variety of bespoke and major projects, where required taking on the role of principal contractor, simply get in touch with our technical team. Designed to minimise friction, vibration and noise, our escalators offer not only a superbly smooth and quiet ride, but with advanced control systems they also ensure minimal wear and tear - meaning low maintenance requirements. Equipped with efficient worm gear and optional long-lasting LED lighting as well as smart operational modes to optimise energy consumption under different load conditions – you get both BREEAM points and low life cycle costs. Safety is our utmost priority; therefore, we make sure every escalator is fully compliant with the latest British standards, including BS5656 and BS115, and is equipped with the latest passenger safety features. From start to finish our dedicated team will be beside you. Once in service your escalators can be maintained in tip-top condition day in, day out, by our dedicated engineers. 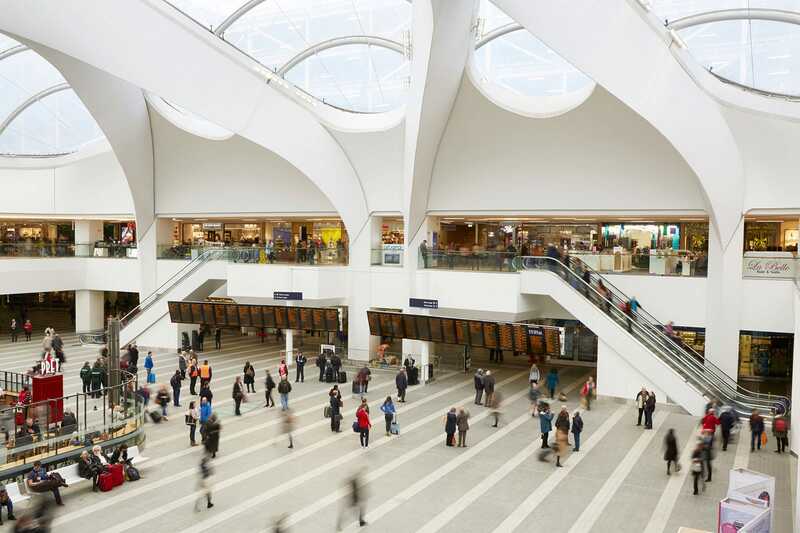 Stannah delivers accessibility in Leeds Station Southern Entrance - a £20-million Network Rail upgrade. Seven Stannah lift products bring access for all to JD Sports in Liverpool One, a £920-million, 42-acre regeneration programme that has helped transform the city and establish it as the European Capital of Culture.